Home CFCnet North Stand Will Chelsea win the League Again Season? Will Chelsea win the League Again Season? The 2016-17 season is hurtling towards its conclusion and for those of a Blue persuasion, it’s been a campaign to savour. There is a new special one in town and Antonio Conte looks set to guide Chelsea to a Premier League and FA Cup double in his first season. Indeed, depending how quickly this feature finds its way through cyberspace, Chelsea could already have those two trophies in the cabinet. But winners in football never look back any longer than is necessary and there is no doubt that Conte will already be planning and plotting for next season. 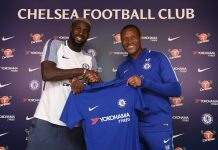 The transfer rumours have long been swirling and whether Romelu Lukaku, Kylian Mbappe, Alexis Sanchez come to the Bridge or not, Chelsea certainly look set to face a tougher challenge for next season’s silverware. We must not forget the significant role the Special One played in Chelsea’s glorious 2016-17 campaign. By ensuring the Blues had no hope of playing European football this year, Jose Mourinho undoubtedly helped Conte deliver success. That will all be different as the Pensioners attempt to defend their title in 2017-18. Conte will have to try and manage his squad to contend on the European front as well. 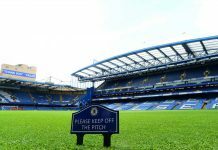 Chelsea fans, players and management will all be hoping for an extended stay in the Champions League and there is no doubt that will make things tougher domestically. 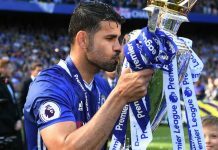 All of Chelsea’s title rivals in 2016-17 had to play European football and there is no doubt that fewer fixtures helped the Blues’ squad stay fit, healthy and focused. 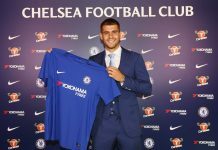 Roman Abramovich will no doubt sanction significant summer spending to add quality and quantity to the squad at Conte’s disposal. However, even allowing for this, Chelsea will find things tougher next term. The European midweek matches, the extra price on the head of the champions and, perhaps most of all, improvements in other teams, will all make things tough for the Blues. In the current betting, the champions-elect are currently the third-favourites for the 2017-18 Premier League crown. If you think that sounds crazy, it’s worth noting that there is very little in the betting. The two Manchester clubs head the betting for next year’s title. Pep Guardiola’s Man City are very slight favourites right now. The Citizens are available at odds of 11/4, whilst Mourinho’s United are 3/1. Many bookies have Chelsea at 3/1 too but shop around a little and you can get the slightly longer odds of 10/3. 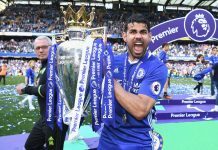 It may seem strange to many that Chelsea, who boast a seven point advantage at the top of the Premier League, are only the third favourites. Equally, Spurs, second in the table by the same margin, are out at best odds of 9/1 for next term. These seeming discrepancies are explained by a number of things that we have touched upon already. Many feel that the two Manchester sides cannot be so bad again, especially given both are sure to spend huge amounts in the summer. City might manage to land Lionel Messi, whilst United are linked with the likes of Neymar and Antoine Griezmann. As such we feel the odds are about right, with Chelsea sure to feel the strain of the extra fixtures. Both Pep and Jose and born winners and whilst Conte will do his best to retain the title, we feel it may just be beyond him. Of course, you could always have a bet on the Blues to win the Champions League next term! The odds and betting analysis in this article were provided by FootballBettingHub, who also provide information on the best football free bets and offers.